Note: For the strength component, use a Rack and work towards a heavy 1 Repetition Max effort. The goal for men is bodyweight, and women 3/4 bodyweight. For the AMRAP component, prescribed weight is 95lb. barbell for men, and 65lb. barbell for women. Kettlebell weight is 53lb. for men and 35lb. for women. This workout rewards exceptional technique and timing. The last time this workout was performed in our gym was September 9, 2014. Set a new record today! 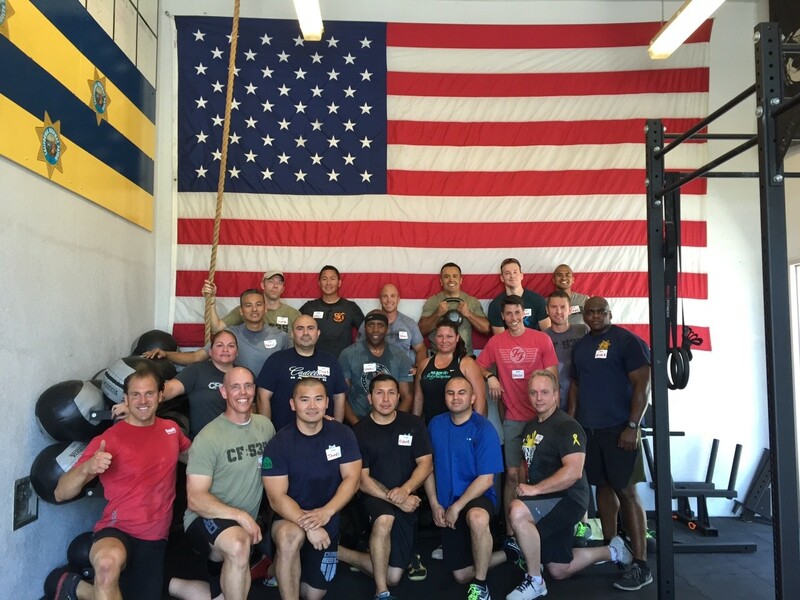 Congratulations to the graduates of the CrossFit Law Enforcement Seminar hosted by the California Highway Patrol East Los Angeles station and CrossFit 535. This was the first private LEO Seminar that was exclusive to the CHP. All of the Officers in attendance were CHP Officers assigned to a variety of stations across the State of California. The Officers pictured above were selected by their Command Staff at CHP to be ambassadors to their fellow Officers in the CrossFit program for Law Enforcement.